This classic method sparkling is born of our heritage family vineyard on the mountain air cooled east benches of Kelowna, where our grapes reach ideal maturity and development through long, crisp fall days. In the traditional way, we allow the wine to spend extended time on its lees - 36 months, to develop richness and complexity on a delicate, mineral-rich frame. Made from a clonally unique block of 25 year old Pinot Blanc vines. Appearance: Clear, light gold, consistent small bubbles. Nose: Clean, light toasty notes, fresh-peeled lemon, Mandarin orange. 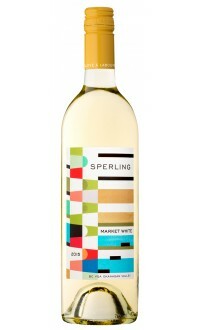 Palate: Fresh and lively, well-balanced with Granny Smith apple, lemon zest, pink grapefruit pith, zippy acidity. 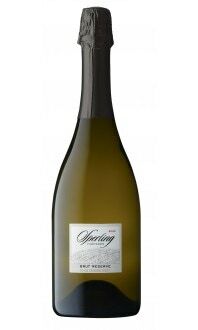 Quality: High quality traditional-method sparkling wine offering perfect balance and a nice amount of age, allowing all of the lovely fruit and textural elements to be woven together wonderfully. Food pairings: Brie, Camembert, fresh oysters, seared scallops, creamy pastas, poultry. Winemaker and proprietor Ann Sperling is a legend in the Canadian wine industry, crafting well-respected wines in British Columbia and Ontario. 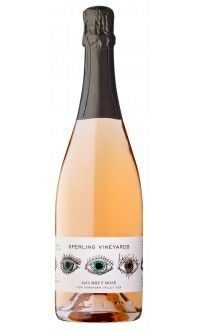 She is as familiar as can be with the Kelowna terroir of Sperling Vineyards, as she grew up on this property that her family has been farming since the 1920’s. What a treat to be able to enjoy this rarity: a dry sparkling brut made from Pinot Blanc vines that have had a home at the estate vineyard for 25 years. While this wine is remarkably enjoyable now, feel free to lay it down for anywhere from two to at least 10 years, allowing it to become part of your history as well.